An endangered gray wolf peers out from a snow covered shelter. Wildlife officials in Washington state have made the decision to kill an entire pack of endangered gray wolves after several attacks on livestock. This week ranchers discovered two calf carcasses in addition to an injured calf, leading to the decision to eliminate the pack, KOMO, an ABC affiliate in Seattle reported. The wolves, known as the Profanity Peak wolf pack, have killed or injured six cows and are suspected in the deaths of at least five others since mid-July. On Aug. 5, state Department of Fish and Wildlife officials culled two members of the pack in the hopes of preventing further livestock deaths. 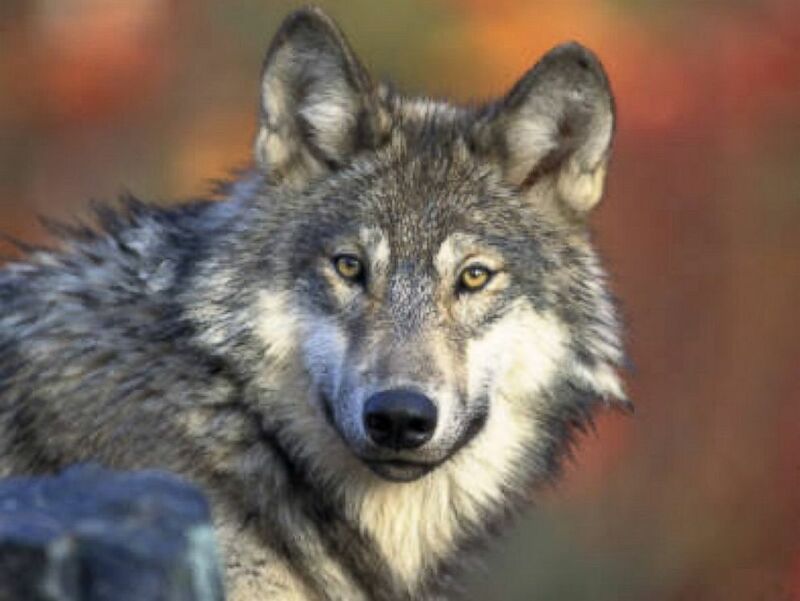 "At that time, we said we would restart this operation if there was another wolf attack, and now we have three," Donny Martorello, who is in charge of the department's wolf policy, told KOMO. "The department is committed to wolf recovery, but we also have a shared responsibility to protect livestock from repeated depredation by wolves." Jim Unsworth, the director of Fish and Wildlife, authorized field staff to remove the remaining members of the pack after the two dead calves were found, according to KOMO. The Profanity Peak wolf pack is one of 19 known wolf packs in Washington state, KOMO reported. The pack had at least 11 members, including six adults and five pups earlier this summer. In 1978 the U.S. Fish and Wildlife Service listed the gray wolf as endangered in most of the country. In some areas, the wolves have made a strong comeback, prompting calls for them to be delisted, especially as run-ins with people and livestock have increased. Washington's confirmed wolf population has grown from two wolves in one pack in 2008 to more than 90 wolves in 19 packs in early 2016.